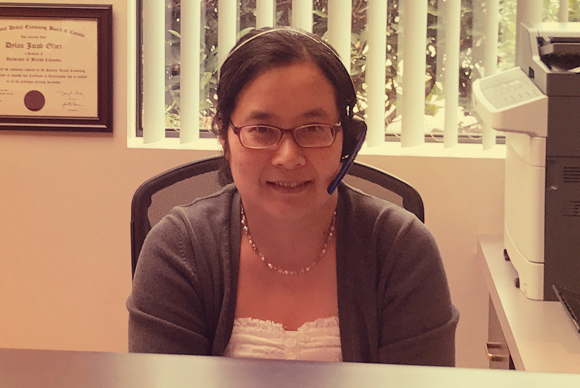 Yushia (sounds like the flower, ‘fuscia’) is the first person you meet when you come to our office. Yushia handles all our administrative duties and everything else that happens at the front desk. She’s the one that is responsible for handling your paperwork, electronically processing your claims, and booking you into our schedule. Aimée was one of our certified dental assistants from 2006. 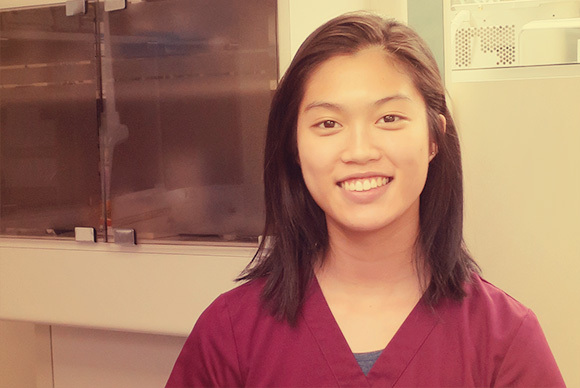 She went back to school in Ontario and became a hygienist. 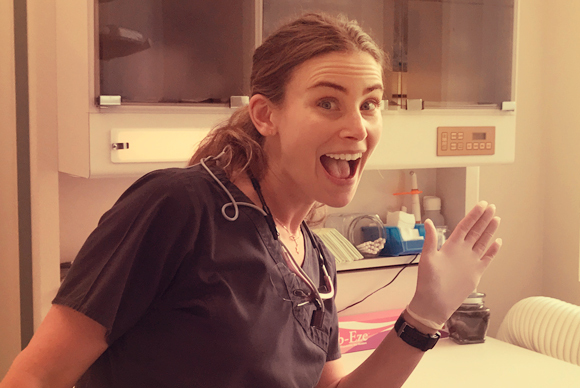 She returned to our office to take on the role as one or our hygienists, but first took some time off to have her first child in 2010. She’s got a total of two kids now, but she swears it feels like more. 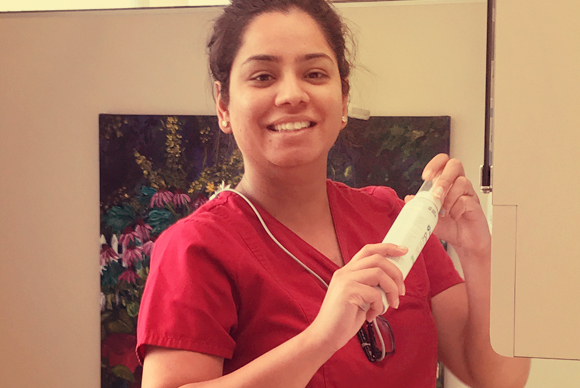 Aimée and our team of hygienists will help you to maintain the health of the gums and bone that support your teeth by making sure you leave our office clean and knowing how to keep it that way. 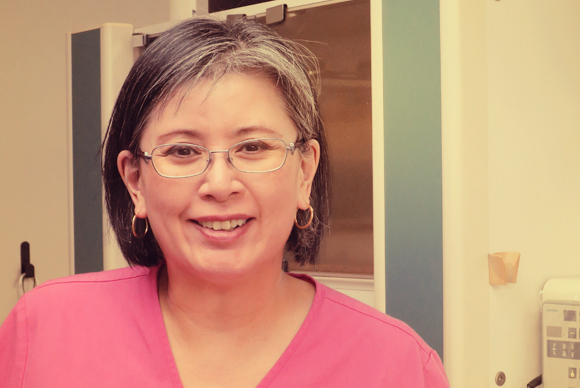 Falki (pronounced ‘fall-kee’) joined our hygienist group in early 2014. 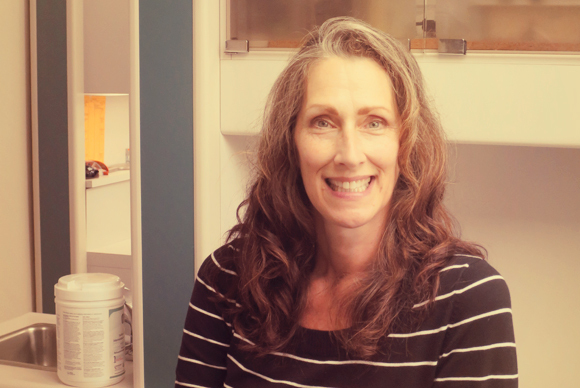 Falki has proven that she is an out-going and caring person, who will work hard to address your dental hygiene needs. Falki is expecting her first child, due in January 2018. We’re excited for her, and she takes on a new role as parent, and we expect her back with us in 2019. All our patients will recognize Sandi. She’s been with us since practically the very beginning in 1989! She disappeared for a little while to have two children, but she’s been back since 2010. You’ll see Sandi mostly assisting Dr Fong, but she’s often up front helping out there too. Gloria is Dr Leung’s certified dental assistant. Gloria has been in the business for close to 30 years. We’re pleased to have her contribute her skills in our office now. Claudia joined our team in 2017. This caring individual is an ideal addition to our group. When she’s not assisting Dr Dylan or Dr Ray, she’s out snowboarding, playing badminton, or spending time with her family.